That photo says it all really, but if you want the rest of the details they are all here on the LAFD blog. 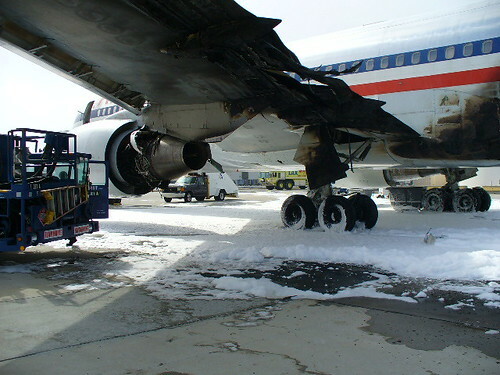 I’m glad that this happened while the plane was being serviced and not while people were on it (says the girl who flies on an AA 767 on a weekly basis). Thread on this on Flyertalk here . For the longest time, I thought that was snow in the picture. And was really confused. Next PostNext From abLA :: Downtown Ruscha Mural Painting Over!